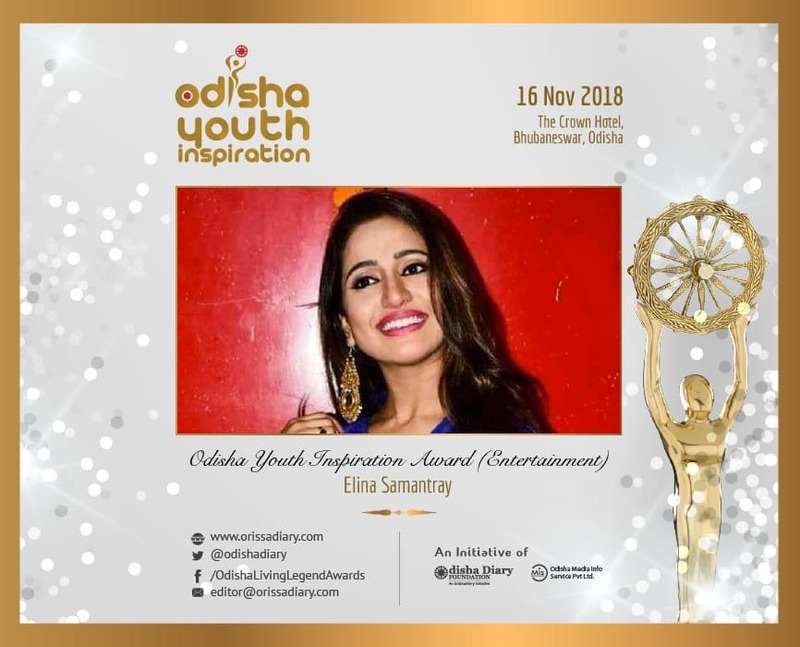 Bhubaneswar: OdishaDiary has announced the winners of Prestigious OdishaYouth Inspiration Awards for 2018. 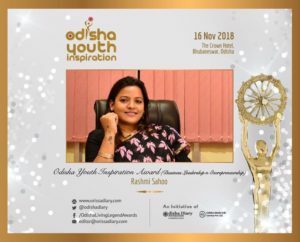 The Awards to be conferred on notable individuals on November 16th at The Crown Hotel, Bhubaneswar. The award ceremony will be held at 4.00 pm, 16th November on the occasion of 14th Foundation day celebration of OdishaDiary. 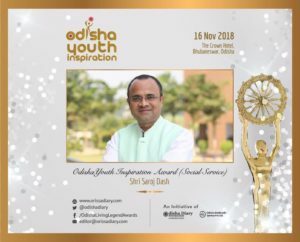 On this occasion, Odisha Diary will confer Odisha Living Legend and Odisha Youth Inspiration Awards to leading individuals and groups that have made an excellent contribution to different walks of life in the state of Odisha. OdishaDiary completes its 14th Year on 11 November 2018. The event has two important segments like the Living Legend Oration and the Awards Ceremony. 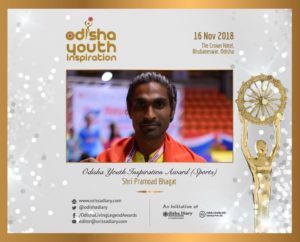 Odisha Youth Inspiration Awardees of 2018 include Saroj Dash in Social Service, Bharat Majhi in Literature, Rashmi Sahoo in Business Leadership and Entrepreneurship, Sandeep Kumar Patnaik in Public Policy, Padmini Panigrahi Art & Culture, Pramod Bhagat in Sports, Elina Samantray and Dilip Sahoo in Film Industry, Subhajit Sahoo in Education and Social Service, Shri Naresh Mohapatra in NRO and special citation to Rudra Prasanna Rath for promoting social cause through social media. From this year Odisha Diary introduces National Living Legend Award. 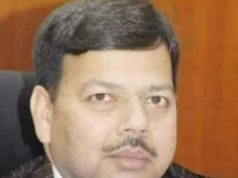 National Living Legend Award 2018 will be given to Madhu Pandit Dasa, Chairman, The Akshaya Patra Foundation. This was informed by Mr. Rashmi Ranjan Parida, Editor and Founder of Odisha Diary and Odisha Diary Foundation. 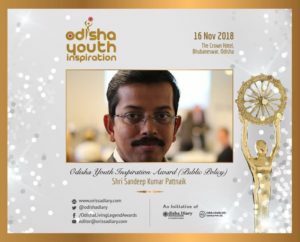 Mr. Parida who has been a pioneer in Digital Journalism, emphasized on the need of bringing the best of the world and India to Odisha and take the best of Odisha to India and to the world. 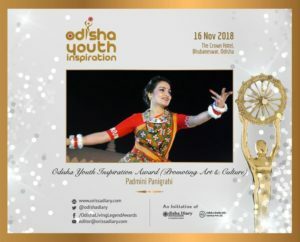 In this context a National Living Legend Award was instituted this year to appreciate Odisha’s national connection and inspiring work that impacts Odisha and India, Mr. Parida shared. The Living Legend Oration this year will focus on Philanthropy in 21st Centry: Challenges and Opportunities. 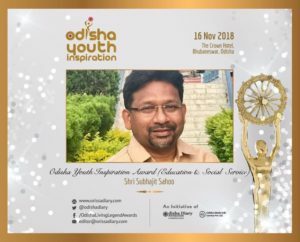 Mr. Kamala Kanta Dash, Senior Editor of Odisha Diary and founding member of Living Legend Awards strongly feels that there is an increasing need for integration between non-profit, for-profit and government interventions. Charity, Philanthropy and strategic CSR can play important roles in welfare and empowerment of a society. Our team felt the need to focus on the third sector and on this theme this year so that we are aware about what it takes to be a leader in the philanthropic sector, he shared. 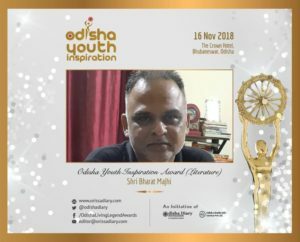 Odisha Living Legend Awardees of 2018 include renowned modernist poet Padma Bhushan Ramakanta Rath in Literature, renowned film director and screenwriter Padma Shri Sisir Mishra in Film Industry, Kenyan Parliamentarian Dr. Swarup Ranjan Mishra in Public Policy, Smile Foundation co-founder Santanu Mishra in Social Service, torch bearer of education Shri Budhadev Meher in Education, mountain man Daitari Naik in Social Service, iconic song Rangabati Lyricist Shri Mitrabhanu Gauntia, Odisha-based Japanese Odissi Dancer Masako Ono in Art & Culture, Olympian, international sprinter Dutte Chand, legendary coach Nagpuri Ramesh in sports, pioneer of Hotel, Hospitality industry J. K. Mohanty in entrepreneurship, legendary community activist, poet Gountia Mohammad Jamiullah in Communal Harmony. These awards launched in 2011 have emerged as the most important civilian award to acknowledge and recognize extraordinary and inspiring contribution to Odia society. 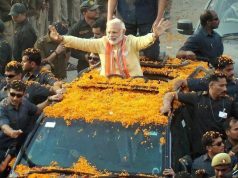 In last seven years many leading names including Tulasi Munda, Priyambada Hejmadi, Pratibha Ray, Sarthak Behuria , Sabyasachi Mohapatra, Sitakanta Mahapatra, Jharana Das,Pt. 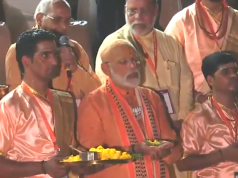 Hariprasad Chaurasia, Manorama Mahapatra, Kishore Mania, PK Mahanandia, Santrupta Mishra and Uttam Mohanty, Shiv Sundar Das, Dr. Trilochan Pradhan, Dr S K Nanda, Shruti Mohapatra, Bhagaban Meher , Prashanta Nanda, Jharana Das, Dilip Tirkey, Sudarsan Patnaik, Nilamadhav Panda, Manorama Mahapatra , Kishore Mania, Jayanta Mohapatra, Gopal Ghosh, K. Ravi Kumar, Hari Prasad Chaurasia, Chatrubuj Meher, Pratibha Satapathy etc have been awarded with Odisha Living Legend Awards.